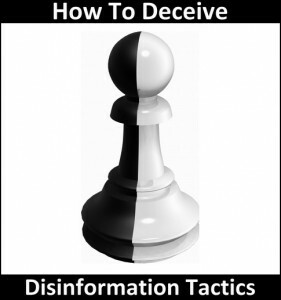 The alternative media has documented for 5 years that the government uses disinformation and disruption (and here) on the web to discredit activists and manipulate public opinion, just like it smears traditional television and print reporters who question the government too acutely. We’ve long reported that the government censors and manipulates social media. More proof here. New Edward Snowden documents confirm that Britain’s spy agency is doing so. These agencies are attempting to control, infiltrate, manipulate, and warp online discourse, and in doing so, are compromising the integrity of the internet itself. Among the core self-identified purposes of JTRIG are two tactics: (1) to inject all sorts of false material onto the internet in order to destroy the reputation of its targets; and (2) to use social sciences and other techniques to manipulate online discourse and activism to generate outcomes it considers desirable. To see how extremist these programs are, just consider the tactics they boast of using to achieve those ends: “false flag operations” (posting material to the internet and falsely attributing it to someone else), fake victim blog posts (pretending to be a victim of the individual whose reputation they want to destroy), and posting “negative information” on various forums. The title page of one of these documents reflects the agency’s own awareness that it is “pushing the boundaries” by using “cyber offensive” techniques against people who have nothing to do with terrorism or national security threats, and indeed, centrally involves law enforcement agents who investigate ordinary crimes…. It is not difficult to see how dangerous it is to have secret government agencies being able to target any individuals they want – who have never been charged with, let alone convicted of, any crimes – with these sorts of online, deception-based tactics of reputation destruction and disruption. There is a strong argument to make, as Jay Leiderman demonstrated in the Guardian in the context of the Paypal 14 hacktivist persecution, that the “denial of service” tactics used by hacktivists result in (at most) trivial damage (far less than the cyber-warfare tactics favored by the US and UK) and are far more akin to the type of political protest protected by the First Amendment. Sunstein also proposed sending covert agents into “chat rooms, online social networks, or even real-space groups” which spread what he views as false and damaging “conspiracy theories” about the government. Then there is the use of psychology and other social sciences to not only understand, but shape and control, how online activism and discourse unfolds. Today’s newly published document touts the work of GCHQ’s “Human Science Operations Cell”, devoted to “online human intelligence” and “strategic influence and disruption”…. No government should be able to engage in these tactics: what justification is there for having government agencies target people – who have been charged with no crime – for reputation-destruction, infiltrate online political communities, and develop techniques for manipulating online discourse?